You can’t afford to be timid or unknown. Sell the benefits of your product, not the features. 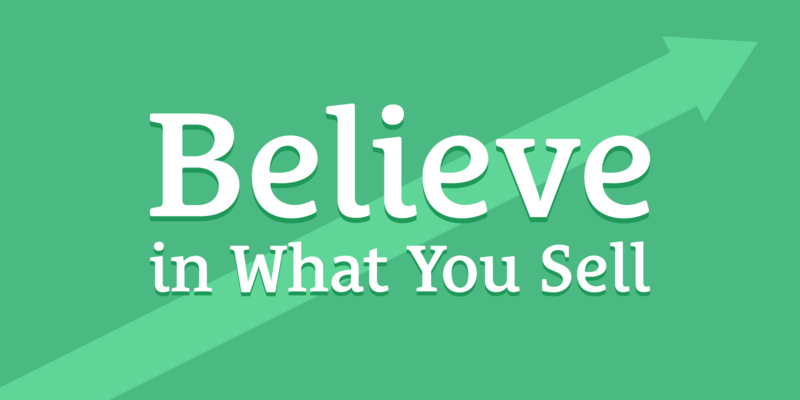 If you don’t believe in what you sell, then you’re not going to take the necessary action to succeed. Speak directly to one person in your audience if you want to really connect with any of them. Your customers are not buying products—they’re buying a better version of themselves. The best time to sell is when someone is primed. Answer questions your customers have never articulated. If you’re just starting out in your business, build a relationship with your customer and start asking them questions. Align your goals with your client’s goals. Price is not in the mind of the customer until you put it there. If you want people to value something, make them pay for it. If you do not have a handle on how you make people feel, you will not sell. 01:31 Sean: Anonymity is a problem. You can’t get customers, sell things, or make money. You need to sell and sell hard. You can’t afford to be timid. 01:44 Matt: We can’t just give things away for free every day all day? We have to sell things? Can’t we just do ads to make money? 01:56 Sean: You can. That is a way to make money. There are some downsides to it for me personally, because I’d rather sell my own products than sell my audience to the advertisers. You do need to sell something and sell it hard, and you can’t afford to be timid or unknown. Why is it that when I say you need to sell hard, a lot of people recoil at that? It’s because they have a problem with the word “sell.” They think the word sell is a bad word. If you don’t believe in what you’re selling, you won’t sell, and if you don’t sell, you’re not going to make money. If you don’t make money, you’re not going to be in business, and if you don’t actually believe in what you do, maybe that’s a good thing and you should be out of business. 02:44 Matt: When Sean and I first met, he said that he put in so many hours for lettering, and that was how he became as good as he was. Since he put in the time, he got really good at the trade. He loved it, so that’s even better. It was part of his passion. A lot of people feel shady selling because they don’t actually appreciate their product or service. 03:49 They didn’t put in the time, so they don’t feel that they should be able to sell. Don’t be embarrassed to sell, because number one, you won’t be in business tomorrow if you don’t. It’s just what you do. Number two, if you put in the time, you deserve to get paid, because you already paid the price. You put in the time to learn a trade and to provide a service or a product. I see a lot of people trying to make a quick buck, and they’re the ones hard selling. Then you have people who are really good, and they’re the ones who are having a problem selling. 04:32 Sean: The people who are selling hard are just in it for the money. You’re in it because you like what you do, you believe in what you’re doing, but you’re too timid. You’re not selling enough because you’re too timid or you don’t have the right picture in your mind for what this does for the other person. You’re feeling awkward, but belief is the key. It’s even the key for people selling things that aren’t good. That’s why they can make a bunch of money—they can convince themselves that they believe in it enough that they can be good sales people. 05:11 That belief is key. You have to believe in what you sell. If you don’t believe in what you sell, then you’re not going to take the necessary action to succeed. If you feel awkward selling, it’s because your focus is in the wrong place, on you and how you feel. You need to focus on the customer, what you’re doing for them, and how you’re making their lives better. 05:40 They want to become something or feel something. You don’t sell them the features of the product; you sell them the benefits. 05:49 Matt: We always tell our customers, “We’re here to solve a problem that you have. That’s the only reason we’re here. Whatever we’re doing for you is nothing but an improvement for you, adding value. Whatever you’re paying us, it’s a fraction of what you’re going to make off of it.” Think of designers who are making logos, icons, or anything for their customer. They’re paying a small fraction of what they’re going to make. It’s just a piece of the puzzle, the business that’s making the money. 06:33 Everything we do, we always think, “What is the value of this service or product we’re providing to the customer?” This customer can’t do what we’re providing for them. They don’t have the skill, and that’s why they’re coming to us. You don’t want to poke their eyes out and take as much money as you can, but you also don’t want to shoot yourself in the foot. 06:59 Sean: Matt, tell me about all the things you were telling me about before we recorded the show—the things you just bought, like your new iPad. I want people to hear this. You were excited about the things you can now do. You said, “I love this iPad. It’s the best thing I ever bought.” Apple could say, “Here’s a big screen you can put things on…” But you bought it because you can do things on it. It enabled you. 08:49 Sean: Accountants are good at managing the money, talking about expenses, and where things are allocated, but Matt’s the boss, the visionary, and the CEO. The CEO determines whether a purchase is an expense or an investment, like something that might make them a better manager. 09:11 Matt: It’s an investment. I was trying to explain to her that I need this so I can take pictures and my assistants can get these pictures with handwritten notes on the sides, instead of me having a little notebook with a pen. I went to school for Computer Science and Engineering, and I’m supposed to send pictures on paper to my assistants? This is what I told the accountant. I’m able to take pictures and write notes on the side, which could allow us to up-sell and make more money, which is what we’re trying to do. I send it to my assistants, they put together an estimate and send it to the customer, and the customer approves it. 10:16 That’s one way we use it. Another way is that I’m able to track our employees and see what’s going on. When I had just one crew, it was easy, but when you’ve got a ton of people that work for you and sub-contractors running around all over the place, when they’re clocked in, it will show me in a program and it will show me exactly where they’re at so I can keep an eye on them and see what’s going on. I can switch between different job sites with different cameras, so I can log in and see what’s going on. I can look at designs that the interior or landscape designer has made, and I can adjust them on the iPad. 11:06 Sean: How has this made you a better boss, a better manager? How has it improved your life? 11:12 Matt: It’s incredible. I hope you can see that I’m excited. Anywhere I’m at, I have my office in front of me. If a customer asks me to look at a design we sent them and they made some changes, I can pop it up real quick and say, “Yeah, we can change that out. It’s going to be an extra $30,000,” or whatever. On Thursdays, when the guys are about to get paid, I can pull up pictures of where my guys have been to confirm their hours. I’m able to catch more things. I’m able to look at the finances and keep track of everyone’s company credit cards. 12:11 Sean: The point here is that Matt is getting all of those benefits from this device. They might say, “Matt, it’s got four gigabytes of RAM,” all these specs, like how many pixels it is, the processing speed and the battery capacity. He cares if it lasts all day or if it lasts multiple days. He cares about whether it’s fast and it works. He cares about whether he can take his office with him on the go. A smart company will sell the benefits of their product, not the features. 12:54 Matt: It’s an expense, but at the same time, how much time will this free up for you that you can put towards work and make money off of? This iPad has already made me well over six figures in contracts and deals that I’ve been able to approve quickly. This just came out. Why didn’t we do this before? Usually, in the mornings and evenings, I’m doing my office work. Now, if there’s a contract that needs to be reviewed, is pending, or needs any notes on it, I can look at it and make some changes and it’s done. Usually, I’d be on the phone with my assistant, but I’m so busy with customers and employees on the phone that I lost connection with my assistant. 13:42 Sean’s right. At first, I thought that this was an expense. Don’t get me wrong—$500 is nothing to us, but we like to save money and stretch it as much as possible, so if we can avoid a $500 expense, that’s a light in the Lambo. 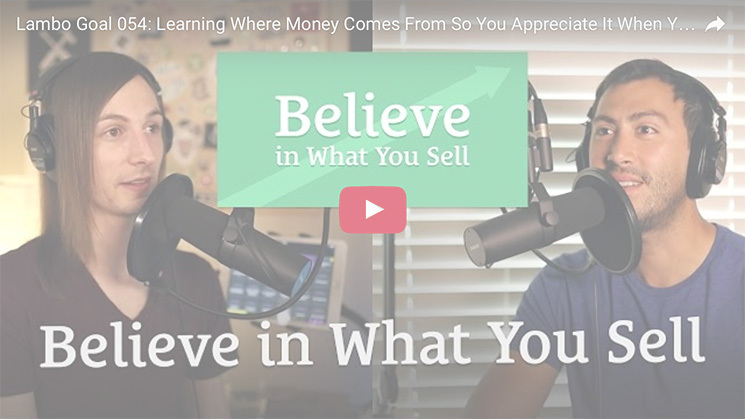 14:06 Sean: Cory, we’re talking about selling the benefits, believing in what you’re selling. Don’t sell the features. Sell the person they become. What are your thoughts on this so far? 14:18 Cory: That’s the only way to sell something. We’re talking about selling a service or a product, but even if you’re saying, “Hey, I just made a podcast episode. Go check it out,” people don’t care. They want to know what they’re going to get from it. You have to share the benefit. Don’t say, “It’s 47 minutes long.” That’s nice. 14:41 Matt: Certain details are like the iPad and the battery—that’s great, but is it going to be able to handle all my apps and get me to the internet? 14:54 Sean: Matt wants to not have to charge it in the middle of the day when he’s trying to work. That’s what he needs to know. Can it handle a heavy workload? Can it go a whole day without me having to charge it? I have to sleep at some point, so I can charge it then, but as long as it lasts the day, that’s the main thing. 15:15 Matt: You’re trying to solve a problem that somebody else can’t solve, and that’s why you get paid. You have a skill someone else needs to get something done, that most likely is going to be of value. You’re going to be creating something of value to them, and even if they don’t make money directly from it, it’s still contributing to them making money as a whole. 16:49 I can’t have that. Do you know what I did? I went out to buy a nice chair. I ignored all of the chairs that were less than four figures. I literally used a price filter. You’re not charging four figures? You don’t get to sell to me, because you’re not serious enough. I don’t believe that you believe in your product enough. It’s probably not that great. Show me the four-figure chairs. I said, “I’m getting a nice chair because I deserve a nice chair. I work hard, and I’m not going to have that happen again.” I don’t remember the price, and I don’t care. I never worry in this chair. It feels amazing. I can work a long amount of time and it doesn’t hurt my back. 17:42 It’s incredible. That makes me money. Guess what I’m not doing when I’m on the floor with bruises on my back? I’m not making money. Like Matt said, I brought this up because it doesn’t directly make me money, but it indirectly makes me money. 17:59 Matt: If you can provide a service or a product for somebody, don’t be shy and undermine yourself when you’re figuring out the price tag. Even if the problem you’re solving doesn’t directly make your customer money, it’s still indirectly contributing to making them money. 18:52 Sean: Who is the person you’re trying to reach? Speak to one person. Narrow your focus and your message. This person needs to feel like it’s for them. That is so important. If you’re doing this on your newsletter, your Snapchat, your YouTube, your Twitter, or your website, and you’re saying, “Hey all you guys, everyone, newsletter subscribers, Snapchat…” Stop doing that. Speak to the one person. Know who this person is. Don’t worry about everyone else. They’ll filter out. Who are you trying to reach? Who is this person? Speak to them every single time. 19:38 Matt: In the beginning, would you still follow the same philosophy? Let’s say they’ve picked their audience, the person they want to market to, and that person is going to be willing to pay that price tag. Do they ignore other requests from “low ballers”? Do they say, “No, you’re not true to our mission here. You obviously don’t believe in the quality or appreciate the quality”? 20:10 Sean: You have to have some form of overlap to prevent Scarcity Mindset. When you’re trying to do things right, you’re trying to do things high quality, you’re trying to be a professional and work with great clients and keep your standards high, it’s going to be tough in the beginning. Let’s be honest. You’re trying to get traction, and it’s not going to be easy. It’s going to take time, and you may not make enough with standards that high to cover your expenses. You have two options. You either compromise on those standards and quality precedence, you go with the lowball offers and the bad clients, and that’s just going to take you backwards. 20:46 I was just writing for a lesson in Value-Based Pricing, the course we’re coming out with at the end of May, and I said, “Imagine a board game. You’ve got your little piece.” I imagine the player piece from Sorry, with a wide base, almost like the Space Needle in Seattle. It goes up and it has a little ball on the top. It’s on a board, and each player has their piece. When you work with a bad client, a client who has red flags that you should be dismissing and disqualifying, a lot of people think that just means that you stay where you are. They think you’re not really making any forward progress and becoming a better professional. 21:31 No, you take that piece and you move it back a square. You’re going backwards. You’re going in the opposite direction. It’s not merely the absence of progress, it is regression when you lower your quality, cut corners, and accept bad clients. 21:49 It’s not a good thing. The one option is to cut corners, make exceptions, and work with bad clients. The other option is some form of the Overlap Technique, where you’re covering your bills with something else so you’re not in that Scarcity Mindset. I really want to hammer this point of narrowing your focus and your message and talking to one person. Stop saying, “Hey everyone.” Stop saying, “Hey guys.” There are people with way bigger audiences than you, and if anyone was legitimized in saying, “Hey everyone,” they’re legitimized, but they don’t. They have a more intimate connection with their audience, a better connection with their prospective customers and clients, because they speak directly to them. People with millions in their audience speak to one person. 22:44 Not everyone does this. I’m saying that the people who have really deep connections with their audience speak directly to one person. Even if it’s one to millions, it’s one to one a million times. It’s just like with your email or any other video or thing that you post. It’s one other person watching that. You should speak to them, and you should speak to the person you want to reach. Don’t try to reach everyone. Don’t say, “Hey, I’ve got this course on how to become a better guitar player. If you want to get better at guitar, this is for you. Also, if you play piano, maybe you want to learn guitar. If you’re interested in music in general, maybe you’d like my guitar course. If you hate music, let me convince you…” No! Stop! Focus. Narrow down. 23:28 Matt: If they’re really wanting your service, directly look for those people instead of reaching out to everyone, their mother, and their dead grandmother. Sell to people who already want what you’re selling—don’t try to convince people. 23:48 Otherwise, you’re wasting your money and your time, most importantly. 23:59 Cory: You guys made up this person, Dave or something, an ideal customer. Do that with who you’re selling to, so you have an idea of who this person is. It gets on the topic of believing in what you’re selling. Once you narrow down and you’re not trying to reach everybody, you’re speaking to one person, you think, “I can help this person.” You have a detailed list of ways your product or service can help them, so you can believe in it more. It’s harder to believe in your product if it’s very general. 24:33 Sean: If you do not believe in your product, it’s very likely that you’re in a situation like Cory described, where you’re so general that you can’t possibly believe in it because you don’t even know what the benefit is. There are so many different people. 24:48 Matt: In my life, I’ve lost money by trying to go too broad. In the beginning, we said, “We offer services for everybody, their mother, and their cousin!” Now, we only offer our services to investors and our own properties. That’s it. We have a target audience, so we know exactly who we’re going for and how we’re better than everybody else for this client. 25:46 Sean: You don’t want to go up to someone cold and start selling. They won’t respond to that well. They’ll reject you. The best time to sell is when someone is primed. You want to answer questions, address objections, provide value, build trust, and don’t start with the close. Don’t lead with that. Lead with any of these other things. If they have questions, answer them. Find out what their objections are. Find out what their hesitations are. Give them value. Teach. 26:17 Matt: Educate them. The most important thing I’ve learned with clients is that not only do you answer their questions, but you answer questions they don’t even know to ask. That’s what separates you from the crowd and shows you as a professional in your trade. 26:32 Sean: The way you do that is through customer research. This is not complicated. Don’t think, “Oh, research. I hated doing that in school, so I’m going to turn off the podcast. Okay, bye! See you!” By research, I mean to have conversations with your customers. You can do this a number of ways. You can look at the comments on your YouTube, on posts, or on Twitter. You could have people reply to your emails. You could have a Community and a chat system. There are a lot of ways to figure that out. You could also call people on the phone. Have a video conversation on Skype. You can hold a meetup in your local city. 27:11 Listen to people. Talk to people. Figure out what their struggles are, what the most common question is. Take that question, and this is the greatest part. Matt said, “Answer the questions they don’t even know to ask,” and the questions they don’t know to ask are the really popular questions that this person may not even think about, but it’s in the back of their mind. Answer questions your customers have never actually articulated but they’re feeling subconsciously. 27:59 Matt: You’ll get good at this over time. You’ll know exactly what a customer is going to say, things about what they’re wanting that they don’t even know about, and when you say that, you’re automatically winning in the race between you and whoever else they’re looking at. It doesn’t matter about your price. I’ve won so many bids where I’m the more expensive one because I know what I’m doing and I’m telling them what they want before they even know what they want. 29:45 You’re building relationships with them, so toward the middle to the end of the project, you’re joking with them. You’ve seen their fancy cars and he’s taking you for a ride on his motorcycle. Toward the end, when you have a decent relationship with your client, you can ask them questions about their project. You’re learning. That’s in the beginning. With a couple of years under your belt, you’ll learn all of this stuff. 31:01 Sean: Matt, you’re good at it. You’re a natural. Every time you come in, within seconds, you’ve got people laughing. It’s absolutely true. You build rapport. 31:20 Matt: I like to set the tone, and I’m not a Debbie Downer. 31:24 Sean: It’s good, because people are looking to you for how to feel. 31:32 Matt: I’ve got a bad reputation for being late. I don’t mean it, but it just happens. Whenever I get to a customer’s house, they’ll say, “Freaking Matt,” and we’re laughing about it. I’m not doing this on purpose, but you have to know how to talk to your customers, and the only way you’ll know that is by experience. You have to put in that time and talk to them, not only about the job. Get some background on the job. Why do they want this? How is this going to help them? All you’re doing is you’re helping build that relationship with them. I have customers I serviced two or three years ago, and I call and ask them for advice. I’ll say, “Remember how I built that wall for you? How is it holding up? Do you still like it? Is there anything I can do that would be better if I did it again?” I use that feedback for the next customer. 32:56 Sean: People are looking to you for how to believe. Is this a good deal? They’re going off of your vibe. People have a good radar, a good inherent sense. They can tell with high degrees of certainty whether or not you’re legit. Does this person really have my best interest in mind? Do they really know what they’re doing? They’re looking to you to decide whether or not they believe, for how to feel themselves. If you’re timid, doubting, and unsure, they’re going to doubt. It’s going to mirror, and that’s not a good thing. They don’t care about the price, though 80% of the people listening right now don’t believe that. 33:56 Matt: In the beginning, the customer might have a set budget in mind, and they’re going to tell you this. Don’t let that stop you from trying to up-sell them and trying to get more money out of them. Like I tell my employees, we’re not here to take their money. We’re here to provide a service, something that they need. 34:15 Sean: This is something we talk about in Value-Based Pricing. Go to ValueBasedPricing.com and sign up, because this course is life changing. I just saw in the chat yesterday that one of the guys who is going through the pilot program with us just landed a $16,500 job, and he said, “I couldn’t have done it without the Value-Based Pricing course.” It will change everything for you. We spend so much time on the foundation, the relationship with the person you’re going to work with. You have to align your goals with your client’s goals. 34:58 The problem with these others methods of pricing, if it’s based on time or flat rates, is that you’re incentivized to either make something take longer or shorter to maximize the amount of money you want to make, and they’re incentivized to keep that down because they don’t want their expenses to be high. With Value-Based Pricing, you are aligning your goals with the customer, because your price is based on the value of the project to them. However much this is worth to them, you benefit a small fraction of that. You are incentivized to make them more successful and increase the value, because that’s the only way you make more money. 35:35 In doing so, you’re making them exponentially more successful. It’s an alignment of those goals that makes for a really strong relationship and a really great project. You’re increasing value for them, and you make more money. It’s not about you wanting their money and taking it whether or not you give them anything more. 36:06 Matt: A lot of people in our industry try to nickel and dime the customer, so they can try and make more money. I get that. Customers and clients are always saying, “Hey, Matt, I’ve got a $20,000 or a $30,000 budget.” I laugh and think, “We’ll see how much I get out of you when we’re done.” I don’t mean that in a spiteful way, but I know how to add more value to their property, their investment, than they do. Obviously, that’s going to make them more money. In the end, they’re going to give me more. Basically, we guilt them into giving us extra money because of the high quality. 36:48 Sean: You’re giving them so much value. 36:50 Matt: Ultimately, they’re going to turn around and sell something that’s more valuable than what they initially thought they were going to get out of it. People only give up money when they believe what they’ll get in return is worth more. 37:01 That’s what separates extremely successful entrepreneurs from normal entrepreneurs. You have to be able to think outside the box and think, “How can I help this client make 10X with whatever it is I’m making for them?” Even if it’s a chair. How do I help this person work more hours without back pain or falling and breaking things? You have to make a good chair. 37:38 Sean: If you are curious as to why I never ask a client for a budget, go to ValueBasedPricing.com. That’s all I’m going to say. 37:48 You think people care about the price. They don’t actually care about the price unless you make them care. Price is not in the mind of the customer until you put it there. It is your job to position the benefits. When you make the problems go away in the best way possible, it doesn’t matter what you charge. 78% of people listening still think price matters and that the customer is worried about it. We’ve only decreased it 2%. If you still think that price matters, you haven’t done a good enough job positioning the benefits. Show them that this alleviates their pain, that they become a better version of themselves, that you are making them more profitable and more successful, and you’re giving them greater value than this costs. The price should never be a discussion point, so don’t negotiate over the price; emphasize the benefits to your client. 39:04 Matt: I believe in pro bono work. The new Captain America: Civil War movie is about ready to come out, and they don’t say, “Hey everyone, watch our full movie on YouTube for free.” They have costs. They release a teaser trailer. The trailer is free on YouTube, and it costs them money to make. What if you threw in some pro bono work for free on top of your work? A lot of people don’t agree with this, but I don’t care. To get more money out of people and to increase the value I’m trying to give to them, I know that some of them have a budget… but there’s always a buffer. 40:22 There is always $10,000 to $20,000 extra buffer money, and I want that buffer money. That goes straight into the Lambo account. The only way I can do that is if I make them more money. How do we do that? We give them more of our services. They don’t want to pay for any more of our services? That’s fine. We’re already making $20,000 or $30,000 off of them, so why don’t we provide them with free services that will only cost me a few thousand? 40:50 Sean: How does that translate into money? 40:54 Matt: In the end, when we’re done with all the work and we’ve added more value to the home, the appraiser comes and says, “With the original scope of work you agreed to, you increased the value of the house by $50,000. Now, with these extra things you did, you increased the value to $70,000.” We made the client an extra $20,000. We got their approval beforehand, although they’re kind of shocked. Yesterday, we finished up a house, and it came out beautiful. On the inside and the outside, there were a few things that were kind of generic because of their budget. 42:38 They were just doing one house with us. Now, their mouths are on the floor. They’re shocked. $1,000 is nothing to me. It’s a $100 bill, if that, but to these people, they thought I was God. They were bringing everybody food and water, and the dude comes out with a check and says, “Here’s an extra $5,000.” I said, “Sir, I can’t take that. I don’t want your money. This was from me to you, from all the guys. We appreciate it.” They said, “No, no, we can’t work with you again unless you take this check.” Think about that for a second. We guilted them to give us something they were going to make back anyway. 43:31 Now, they’re a customer for life. They weren’t going to use this afterwards, because they were just going to cash in on their little bonus there, but now they think, “We’ve found a good contractor who knows how to communicate and is nice. He took care of us. He gave us something for free.” You should have seen them. They were so shocked. So many people miss out because they are focused on one transaction, on making the sale immediately and getting out. 45:14 Matt: Not only that, but let’s say I need a painter or Cory needs a painter. Who are you going to say? You’ll say this guy. That’s exactly what you want. You want that free referred business. If you get in with the right people, you have business for months and years. 45:37 Sean: You’re doing them a favor. If you don’t sell, they don’t buy. If they don’t buy, they don’t take action. If they don’t take action, they don’t get the value. This is reality. If you don’t sell something, people are not going to buy it. If people don’t buy something, they don’t appreciate it. They have to buy something to take action. If you don’t believe me, every single one of you have a dusty old PDF folder on your Dropbox with all of these freebies that you got, and 80% of them are unread. You’ve downloaded them and saved them somewhere, and 80% of them are unread. I know, because I do it, too. 46:10 But when I buy something, I make the time to go through it. I make the time to take action and actually get value out of it because I bought it. I bought it because they sold it. People value what they buy. Matt just gave people stuff for free, and they valued that stuff. They wouldn’t accept you saying, “Don’t pay for it.” They valued it, so they wanted to pay for it. They insisted that they pay for it because they valued it. 46:46 You’re doing them a favor. It sounds like there’s no way it could be a favor because you benefit and you make money, but it’s true. It is mutually beneficial. 46:59 Matt: In the beginning, you might be a little bit timid. You don’t really want to charge them full price. Now, if people try and offer me less than what I’m asking, I say, “Get out of here. That’s disrespectful. This is a professional establishment.” In the beginning, I would give a little bit on the price, but now it’s full price or free (Related: seanwes podcast e164 Full Price or Free). You’ll get to that point, and that’s okay. In the beginning, you might have to be flexible with your price a little bit, but don’t do it to the point where you’re barely making anything. You want to be set there. 47:34 Sean: That’s why I have the Overlap Technique. 47:39 Matt: That was something I was figuring out as I went through the Overlap Technique. People said, “Matt, you can charge $200 an hour.” That’s great, but I don’t know how. I had to learn how you talk to the customer and how you up-sell. You don’t just say, “You need this,” but you have to explain to them why they need that. Don’t feel like you deserve the full price until you put in the time to get the experience to charge that. 48:20 Sean: If you do not have a handle on how you make people feel, you will not sell. I never used to understand this. I used to think, “Set it up really well, explain it, and logic will do the work.” Logic does the work retroactively. We buy based on emotions, and we justify those buying decisions with logic after the fact. It starts with emotions. You have to stir that up. You have to build up the desire, amplify their desire, and remind them of the struggles. 49:57 Matt: It gets them attached to the problem you’re solving with your product or service, so they’re emotionally invested now. Now, you have them. What they tell you is your unique selling proposition. 50:49 That is the thing that you have over all of the competition, and they just told you. When it gets to the point where you say, “I’m not available to start on your project until August,” and they say, “That’s a long time away,” you say, “I like to focus on each of my clients one at a time. I want to give you as much attention as I’m giving everyone else, and I want to make sure that’s possible.” When you reply to them, you say, “I want to make sure to provide you with…” and you insert the unique selling proposition they gave you at the beginning. The very reason they said that they came to you specifically, you work that into the thing you want to give them, and that’s the clincher. They can’t move on without that thing, and you know that’s why they came to you because they told you. 51:47 Matt: Exactly what they tell you is what you want to tell them back, because that’s what they’re looking for. You have to find a way to get that information out of them so you can use it as leverage. 52:07 Sean: Everyone has these stigmas. They say, “That sounds sneaky. That sounds bad. Are you trying to take advantage of them?” It’s because we have such a strong association between selling techniques and slimy salesmen, and it comes from people where all they are is a salesman. They’re not the ones doing the work. They’re not providing a service. They’re not handling customer support. All they’re trying to get you to do is to sign on the line that is dotted. That’s it. If you don’t like it, that’s customer support. If you want a refund, that’s not their job or what their commission is based on. All they’re trying to get you to do is buy. 52:45 They’re going to use any tactics at their disposal that they can, and we associate those things. We think, “If you’re saying back to the customer what they told you, that’s what salesmen do, and a lot of salesmen are bad.” That doesn’t make the tactic bad. You have to sell to people. You need to get them to buy, because if they don’t, they won’t take action and they won’t get the value. Your job is to maximize the value and do whatever it takes to get the customer to realize that value, because you fully believe in what you’re selling 110%. 53:33 Cory Miller says, “Can you believe in what you’re selling if you haven’t seen the positive/beneficial effects it has on your customers yet? I could say, ‘This product will change your life,’ but if I haven’t sold it yet, I don’t know that.” That’s right. You don’t know that. You have to be fully convinced. You need to have 110% certainty in what you’re selling, and that’s the kind of believing I’m talking about. That’s the degree of belief you have to have. You need to know that this person is going to be better. For seanwes conference, we are capping attendance for the conference at 150 people, so it very well could be sold out. If you’re curious and you want to see if it’s still available, you can go to seanwes.com/conference. If it’s not, I’m fully convinced, without a shadow of a doubt, that this will be the best event you go to this whole year—maybe for multiple years. 54:41 You will point back to this event in 2017 and say, “This is where everything changed for me.” This is where you’ll meet the greatest people, where you’ll build the deepest relationships, and get the greatest insights. It’s not like a conference you’ve ever been to. It’s a mastermind, it’s a retreat, it’s the conference you always wanted all wrapped into one. The best thing about putting on your own conference is that you can make the event you always wanted to go to. You hear how I’ve transitioned into selling. You need to go to seanwes conference. I’m selling this hard, because every person who invests in this is going to get a 10X to 100X return, no doubt, and that’s in the first year. If we’re talking ten years, it’s going to explode. 55:32 Matt: You’ve never put on a conference before, but you believe in this conference. 55:42 Sean: I have not put on a conference, but I have put on smaller versions of conferences. I have started a podcast, I’ve got emails, I’ve had conversations with people, I built a community, people joined the Community, people started having conversations, we started streaming live shows, I started talking with these people, and I decided to start doing meetups. We did a meetup in New York City. We did a meetup in Dallas. We did a meetup in San Fransisco. We get 30, 40, and 50 people out, and it’s incredible. It’s two hours, four hours, or ten hours that we all hang out. 56:17 I’m seeing 50 people together for ten hours, and I’m seeing the results, so I think about 150 people for three days with this event that we’ve specifically designed, and I have a really good idea. I don’t think people should just sell blindly. I think you should know the benefits, and I’m not just saying this blindly. I’m saying that I’ve seen smaller versions, and I’ve seen people get results.